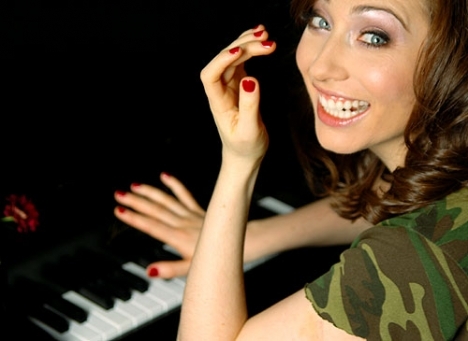 Bloody hell, it's good to have Regina Spektor back. For all the amazing female music we've been spoiled with in recent years, there's no-one quite like the Russian-American alt pop queen for sheer knock-you-backwards brilliance. If you haven't stumbled across her already, check out Us or Samson on YouTube. It's like Tori Amos without the spooky mysticism and psychological hang-ups. Sweet, strange, funny and full of melody. "First there's lights out, then there's lock up. Theres a price to pay, and a consequence. The living dead fill every room." I've already listened to this eight times this morning. Now it's your turn. Incredible.